This family who lives in Leicester called us because they had received a quote from another water filtration company and they wanted a second opinion. They were having issues with staining on fixture and appliances. We discussed the water test that had already been performed. 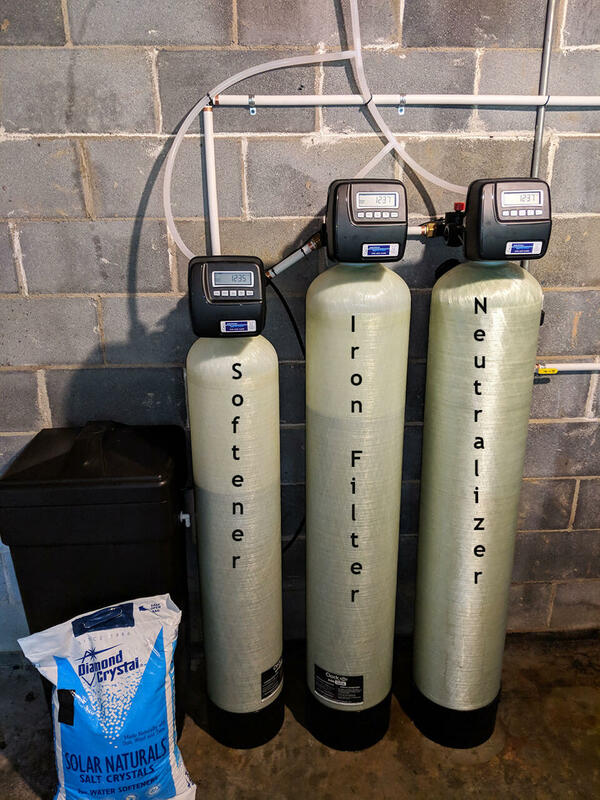 We recommended a Neutralizer for a low pH (acidic water), an Iron filter to remove the iron and a Water softener to remove the hard water. After they read the Google reviews and also some of our blogs about installs, they decided to hire us for the job. We were able to install the equipment the next week. Great water for this Leicester family!